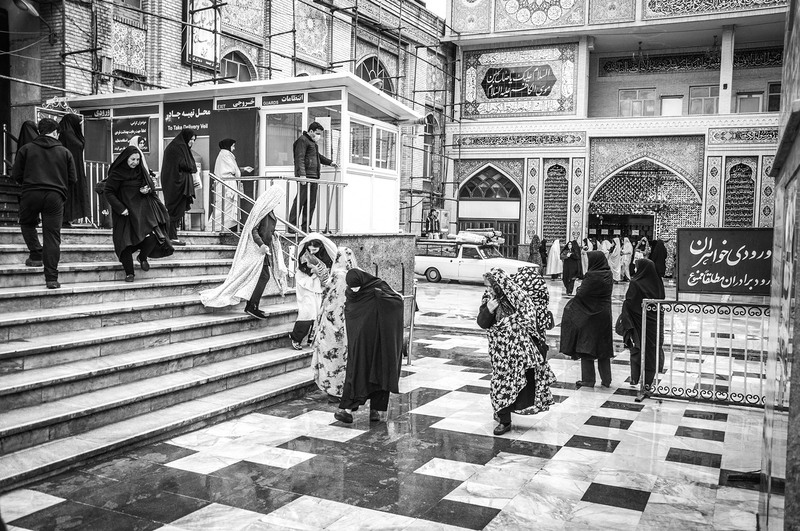 Separated from the men, women enter a mosque. The the Imamzadeh Saleh mosque - located at Tajrish Square - entombs the remains of Saleh and is one of the most popular shrines in Tehran. March 2014.